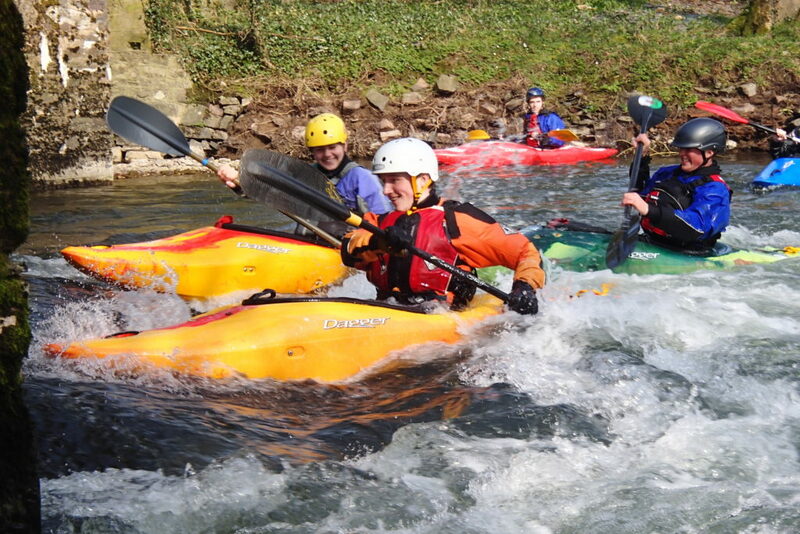 Young Bristol provides a range of outdoor activities for a wide variety of groups and ages from our water-based activity centre and other locations in and around Bristol. We employ experienced, fully qualified and certified instructors, and hold comprehensive Public & Employers Liability insurance. 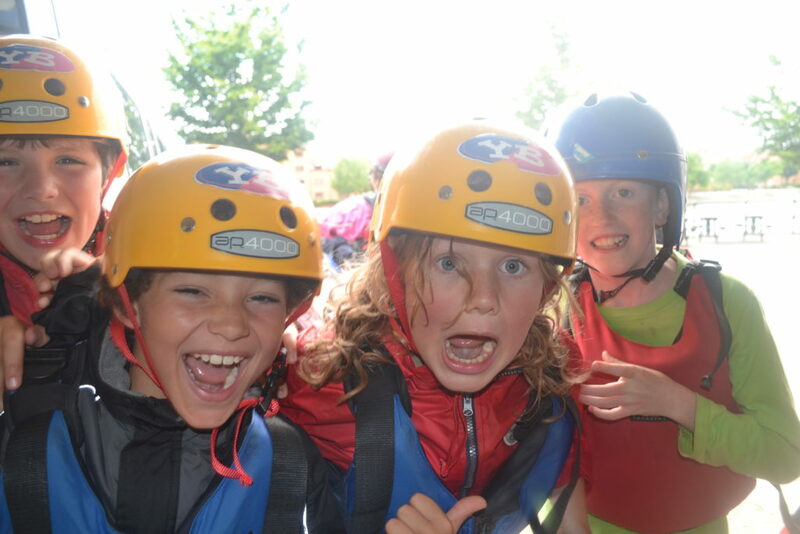 All activities and venues are fully risk assessed to ensure our activities are safe and enjoyable. We are a licensed and approved activity provider with the Adventure Activities Licensing Authority (AALA). 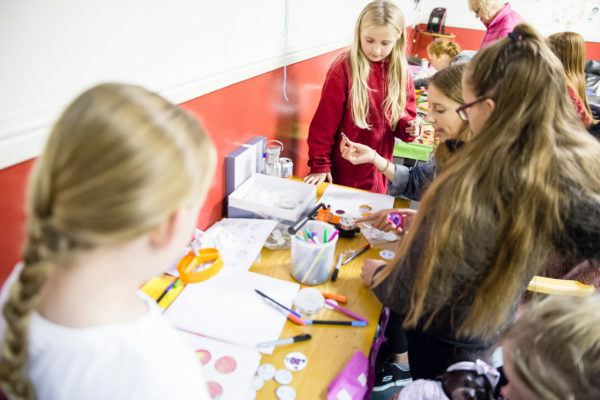 We can provide packages for parties, corporate or charity events, groups, pupil referral units, schools, special education needs and youth clubs. Activities are available from £17 per person. 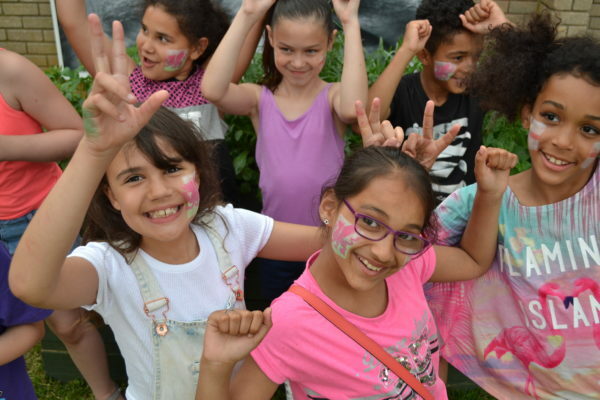 During the School Holidays, we provide a programme of outdoor activities for 8 – 16-year-olds that can be booked for individuals or groups. School Holiday provision will be updated and advertised below and you can book sessions here. Our High Ropes course is currently being updated and improved. Please check back here for details of reopening. Team building sessions encourage communication, cooperation, trust and leadership skills within groups. A perfect activity if you need to develop group relationships in school or the workplace. This exhilarating activity takes place at the Avon Gorge with the Clifton Suspension Bridge as your back drop. Using rock faces suitable for beginners, qualified instructors will coach participants safely and carefully allowing everyone to face their fears and meet the challenge. Locations include Avon Gorge, Mendip Hills, Forest of Dean. Just a few minutes from Bristol, Rock Climb in the awesome Avon Gorge (near the Clifton Suspension Bridge). Using rock faces suitable for beginners, qualified instructors will coach participants safely and carefully to scale the cliffs. A great opportunity to improve confidence and learn the basic skills of rock climbing. Emphasis will be on teamwork and group members will be taught how to support and help each other. The maximum climb height is approximately 20 metres. Other venues are also available including Mendip Hills, Forest of Dean and Bristol’s indoor climbing walls. 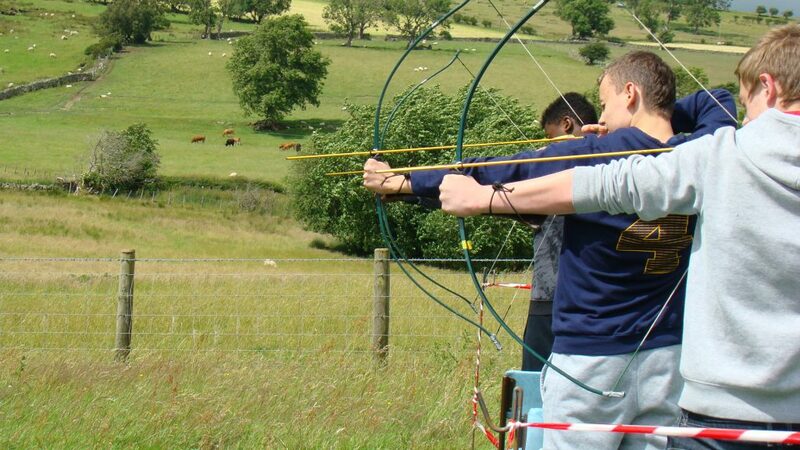 Target Archery is a great activity for all ages and abilities and you will see your skills improve very quickly with our professional instructors coaching you. If you have space, we can bring Archery to you. Learn ancient skills such as shelter building, lighting fires without matches and tracking wildlife in the woods. This session encourages problem solving, teamwork and a respect for our natural environment. Do you have what it takes to be the next Bear Grylls! We can even organise outdoor cooking and barbecues for your groups. We can bring these sessions to your school or place of work. Join our highly experienced and qualified instructors and find your way through Goatchurch Cavern in the Mendip Hills. A dry cave, not affected by rain and suitable for beginners, but, has some fun tight passages to wriggle through to test the most confident with easier options if necessary. Caving is great for developing teamwork and understanding the geology of the local area. For those brave enough, we can take you into some of the more advanced caves in the Mendips but some experience may be necessary! Overalls, helmets, head lamps and wellington boots supplied. Teams are challenged to ‘beat the clock’ and find their way around our course, looking for markers hidden around the undergrowth and trees in the quickest possible time. Orienteering develops basic map reading skills and knowledge of the environment as well as great teamwork. Based in The Mendip Hills, less than 30 minutes from Bristol. This is a walk on the wild side! 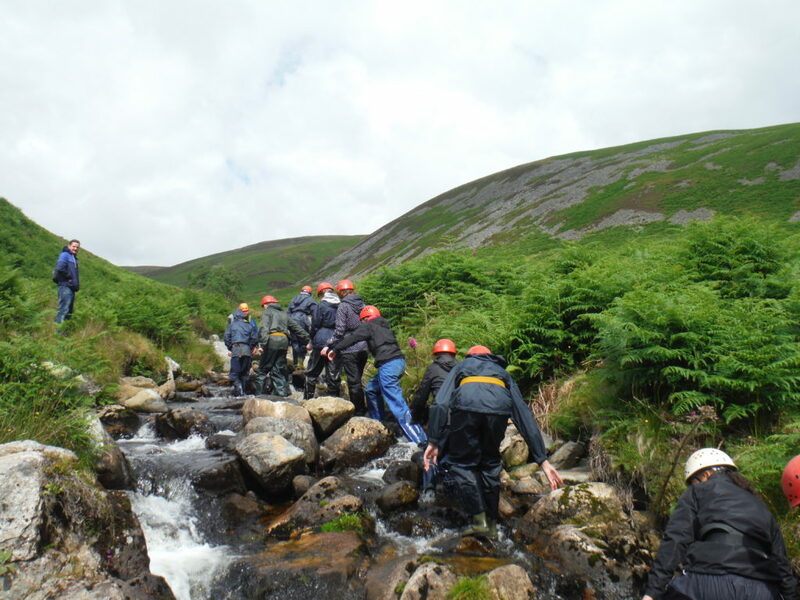 Scramble through the tree roots and undergrowth following a stream towards its source and climb a couple of waterfalls along the way! Will you manage to stay dry? Paddle our Canadian Canoe’s in the Historic Bristol Docks. Bring history to life! 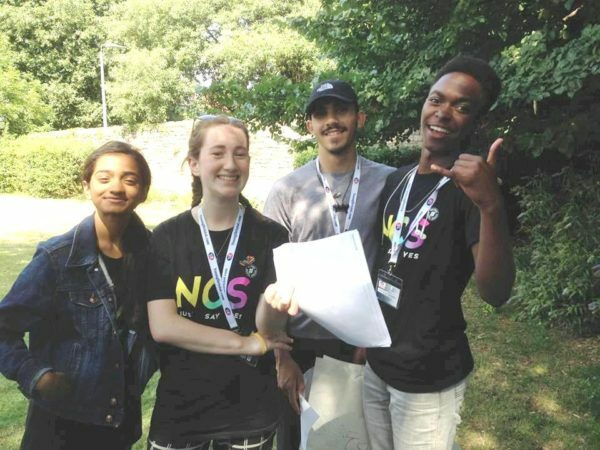 Develop teamwork and communication whilst soaking up the rare historic sites Bristol has to offer; Brunel’s SS Great Britain, John Cabot’s ‘The Matthew’ and the historic buildings that make Bristol’s heritage! 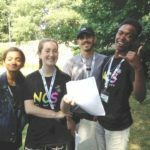 Your fully qualified instructors will coach you all you need to know and develop your skills through fun games and expert tuition. Buoyancy aids are provided; you don’t even need to be able to swim to take part! More advanced courses are also available. 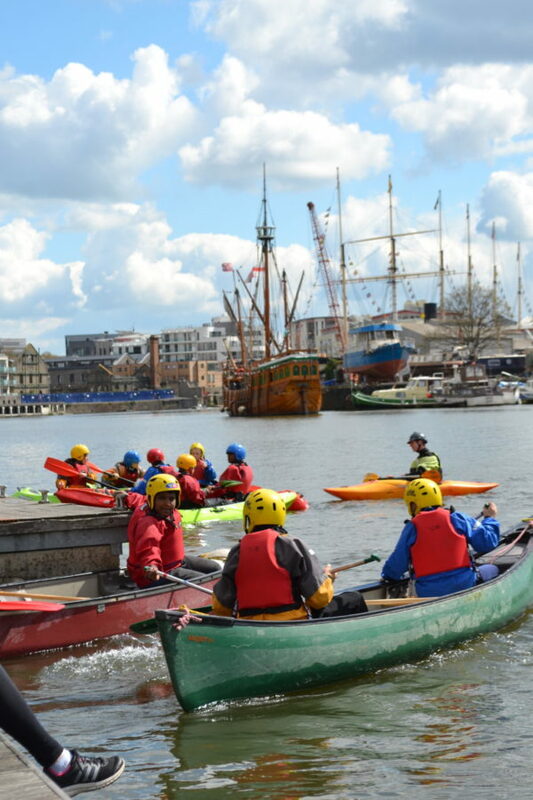 Based at our Activity Centre in the heart of Bristol, join us in one of our sit on top kayaks or a standard closed cockpit kayak and have fun improving water confidence and skills on the historic Bristol Docks. Whether you decide to journey up the docks and see the sites or play team games on the water, kayaking has something for everyone. Buoyancy aids and helmets are provided; you don’t even need to be able to swim to take part! More advanced courses are also available. 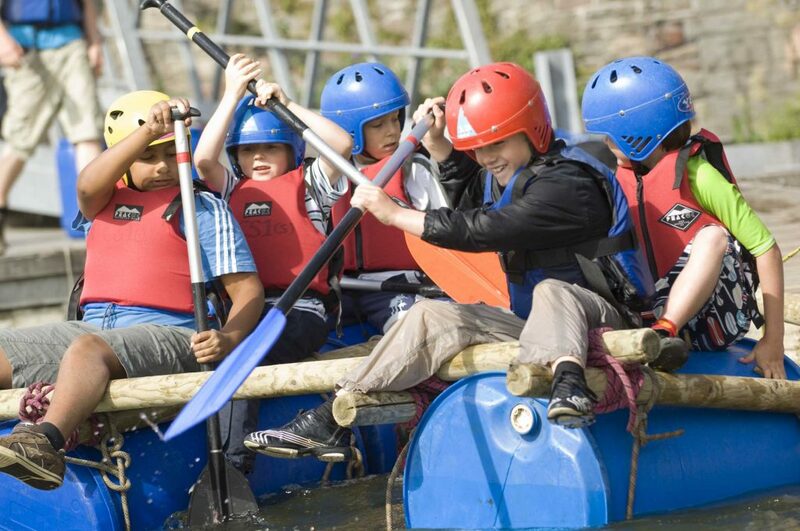 Teamwork is required to design, build and finally paddle your own raft around a course. If you have a larger group why not have a race! Your team can be as creative as you like, as long as it holds together! If it doesn’t you may get a bit wet! 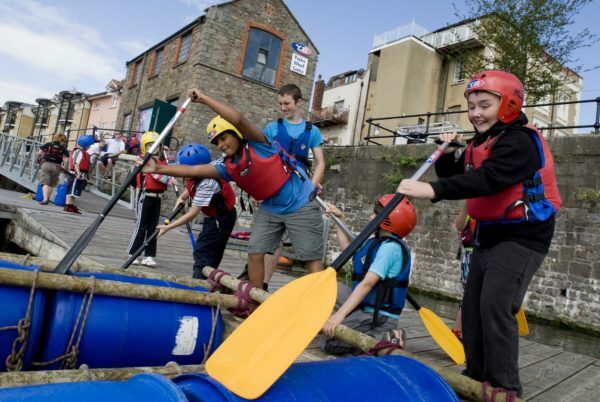 Raft Building is based at our activity centre in the heart of Bristol. 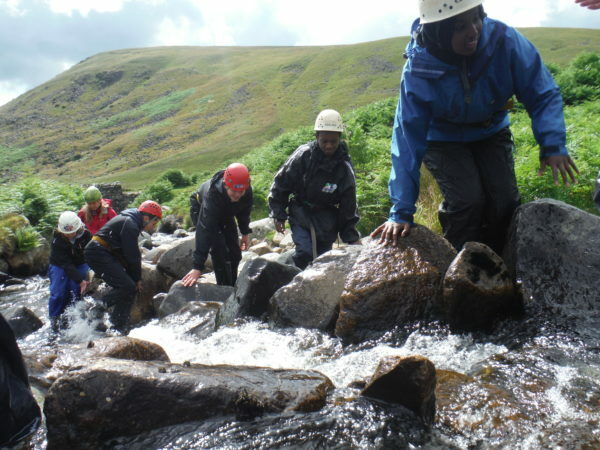 Develop teamwork, communication and practical knot tying skills whilst having a wet and wild time! Buoyancy aids and helmets are provided. Climb aboard and develop team work and fitness by rowing our Cornish Gig in the Historic Bristol Docks. The Gig is a rowing boat that seats up to 10 people Due to the large oars, it is an ideal activity for groups age 12 years to Adult and less suited to very small children unless they are just coming along for the ride! Controlling the boat requires teamwork, communication and skill. The boat is incredibly stable and easy to master. It gently improves fitness and stamina at all levels of ability. Rowing gives groups a tremendous sense of camaraderie. More advanced courses are also available. What are you waiting for, get active and enjoy the open seas! 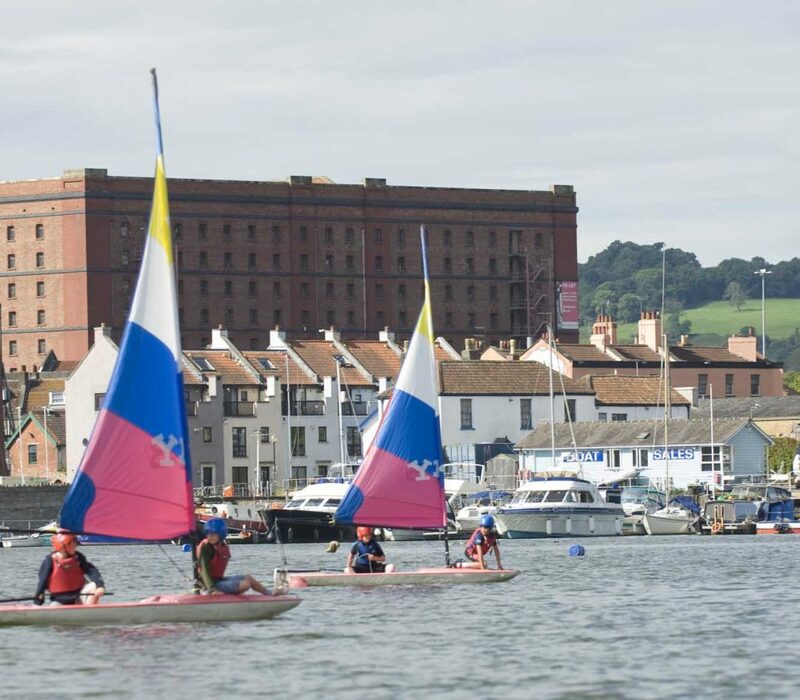 Go dinghy sailing in the centre of Bristol under the direction and supervision of our qualified instructors. 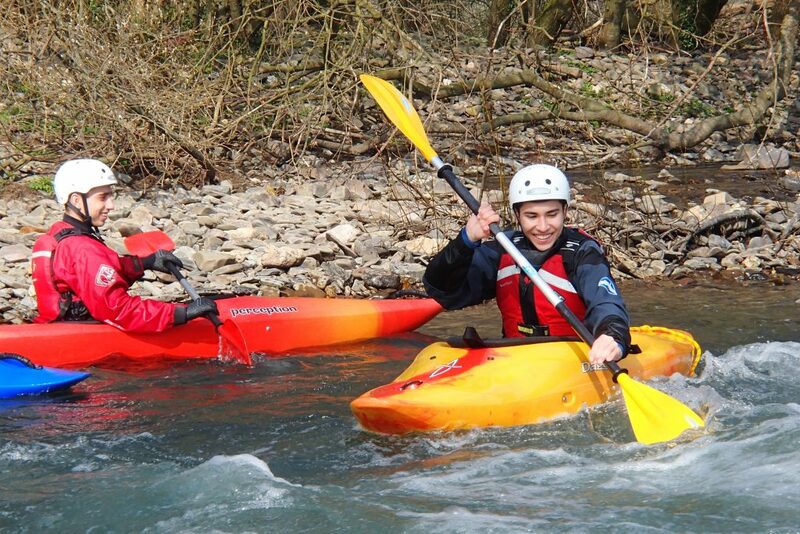 We can offer single handed sessions or crewed dinghy sailing in a variety of boats. A great fun introduction to this highly competitive sport! More advanced courses are also available. 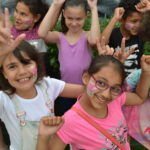 Please get in touch for a quote or to book on 0117 929 2513 or info@youngbristol.com.